F, Apr. 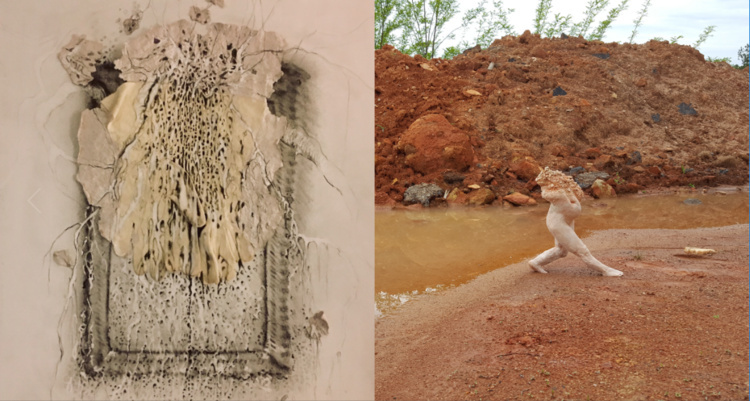 5, 6–8 p.m.
Remnants of Existence encourages an intimate reflection on the residue of memories within places that seem familiar, but may be unsafe. Marks intentionally made by the artists, combined with spontaneous reactions of material processes, operate together to document the passage of time and the power of objects. Suggestions of human body forms are left exposed and vulnerable to communicate their delicate, constantly-changing nature.